Does your business know how to use Pinterest to attract web traffic and business leads? If you are like most, then the answer is no. And it isn’t through any fault of your own. It is a relatively new social network that many people and businesses are trying to work out. Pinterest is a great platform for your content to get discovered and for your site to earn organic traffic, once you know how to make Pinterest work for you. In this article Digital Next shares their foremost tips for running a successful Pinterest marketing campaign. Develop a compelling Pinterest profile. First impressions count. If your profile and board looks empty, then people won’t be inclined to engage with you or your content. Take the time to invest in developing an exceptional profile that appears inviting and valuable. Don’t just use the images that appear within the post or default website images. Create a custom design using Picmonkey or Canva. 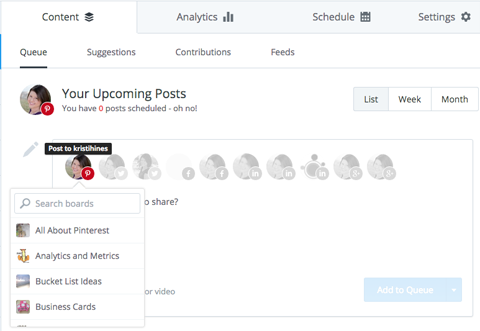 Publish exceptional content from your own platform on your own board. Pin awesome content from other websites on your board with similar interests. Pinning content from your own website is great, however you want to provide as much value as possible in your boards so people will be compelled to follow you. Seek out some of your most valuable information sources and share them on similar boards that you own. This should earn you more followers over the long-term. Invite others to collaborate on your board. There is only so much you will be able to do when developing your Pinterest boards to build your audience. That’s why you should open up some boards to group collaborations. Then seek out other collaborators on similar boards and invite them to post content that will attract more people to follow you. Contribute to other Pinterest boards to magnify your audience.To get exponential growth in your website’s traffic, you need to magnify the audience reach of your web content. Getting repins from your own board is one way, however you can amplify your content’s reach by contributing to other relevant boards. For example, your board might have 100 followers; however if you contribute to 3 boards that have 500 followers each; you will now be exposed to 1600 Pinterest followers who can engage with your website’s content. 1. Finding relevant collaboration boards that you would like to contribute to. 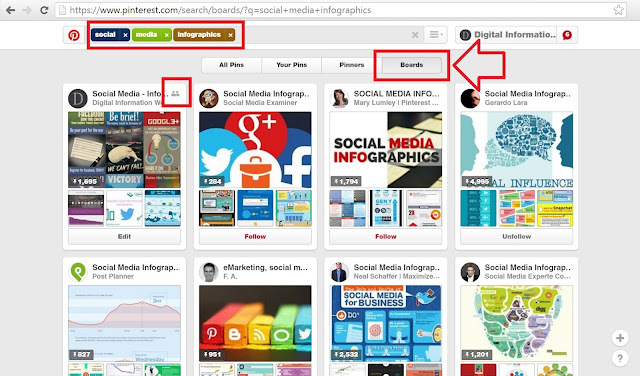 You can find these boards manually by using Pinterest search feature as demonstrated in the below picture or by using tools such as Pin Groupie. 2. View the collaboration boards and check their descriptions for instructions on how you can become a contributor. They may ask you to email the board owner directly, comment on a pin, to follow a board or to reach them on other social media channels. 3. Once you have forwarded your request to join the board, you will have to wait to receive the invitation. 4. Once you have received the invitation, you can click accept and start contributing to the board. As you start to pin your content on these engaged group boards, your website content should receive more repins and web traffic. Another way to gain traffic from Pinterest is to advertise using Pinterest’s ‘Promoted Pins’. Similar to Adwords pay-per-click model, you can promote your pin from around $0.10 per click and generate a stream of repins that can earn you traffic over the long-term. Automate your pinning with Viralwoot Or Buffer. For people that are time-poor, taking the time to make pin something everyday can be challenging. You can automate this task by using Viralwoot or Buffer to setup a series of pins for the month and then scheduling the pins to be posted throughout the month. Setting up the pins shouldn’t take longer than a day. 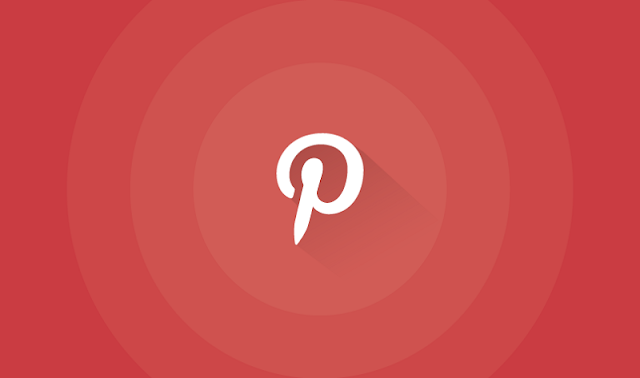 Pinterest is a great way to grow your website’s web traffic. Use the steps that have been provided (above) to attract more followers and to expose your pins to a larger audience. This is a guest contribution from Digital Next.